I have been daydreaming about summer. At the beginning of every summer, I sit down with my kids and we write down our “goals” for the next 12 weeks. Now don’t let the word “goals” scare you. The first page is all of the places we hope to visit during the summer. The second page is all of the friends we would like to invite over for a playdate. And the third page is anything else we want to accomplish: swimming lessons, learn to play tennis, piano lessons, read a certain number of books. I also will include anything a little more serious on this page, such as reviewing math problems, memorizing Bible versus or working on chores. If we experience a moment of boredom, the kids will say, “Hey, let’s look at our goal sheet!” We will get out the notebook and choose something from our list to do that day! I have been so anxious for summer to arrive that I kind of cheated. 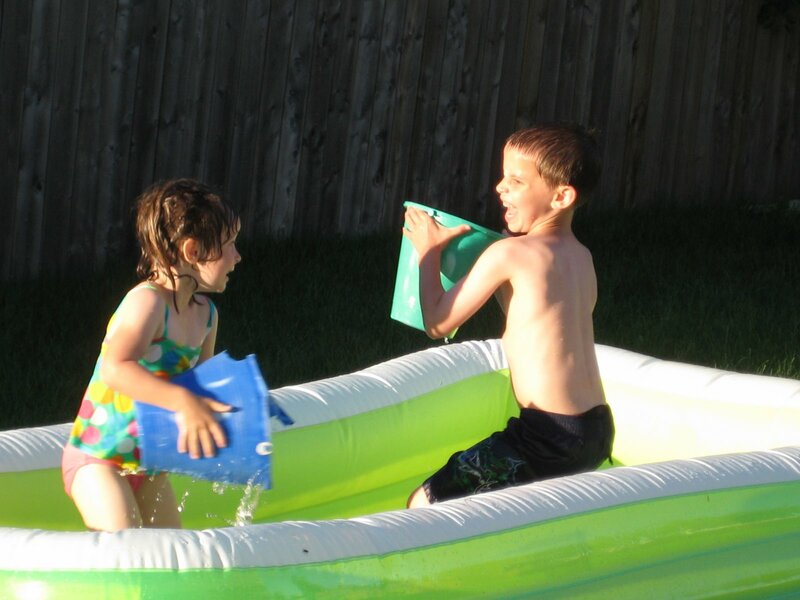 I made my own list of summer adventures for this year without the kids’ help. (We’ll do another one together later on.) I guess I just needed a mental diversion from homework and the rainy weather that has been hanging over the area for months now! Blackberry Farm is one of our favorite places to visit in the summer. 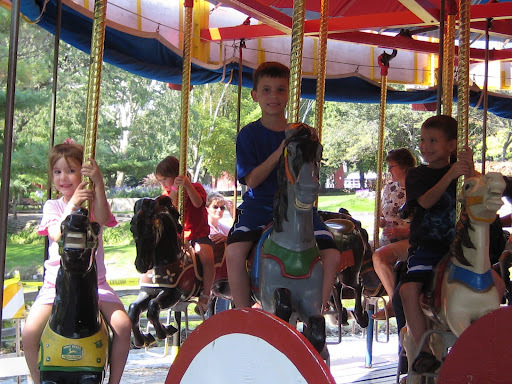 The kids can ride ponies, a carousel, a train or a wagon. 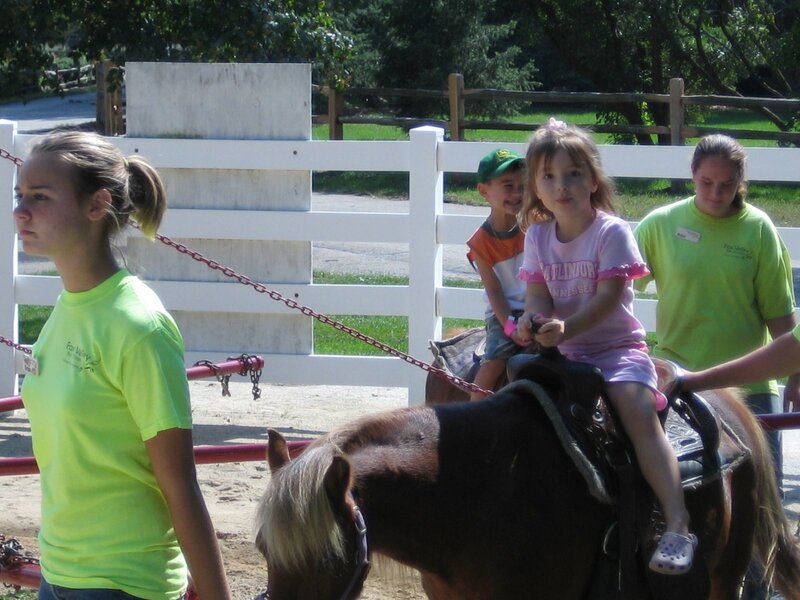 They also can visit the farm animals and farm buildings. We love the peaceful open space. It never seems to be busy there. Would you believe my kids’ favorite part is to go inside the “museum” and walk down a city street made to look like the 1800’s?! We can pretend that we’re living in Little House on the Prairie and going for a visit to the city with Ma and Pa.
We are members of The Morton Arboretum, so we will probably go there a half dozen times! 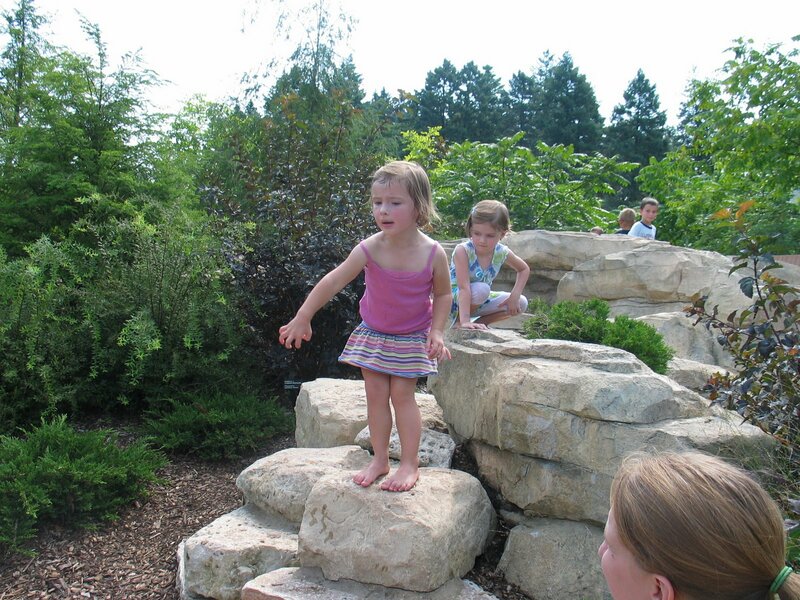 We love hanging out in the Children’s Garden or the Maze Garden. If we go with friends, we’ll see it all. If we are by ourselves, we’ll plop down by a stream and play for hours. The kids love to build dams with the rocks and pretend they are the beavers in the book, Poppy. Or we will hang out by the tree houses. My daughter will make a new best friend and play house while my boys will run around underneath the tree houses looking for Ewoks and hiding from Darth Vader. If the Children’s Garden gets boring, we’ll head into the wide spaces of the rest of the arboretum. Some people don’t know this, but this is actually the land of Narnia. We’ll search for the white witch and maybe even have a picnic with Aslan. Don’t forget the Turkish Delight! 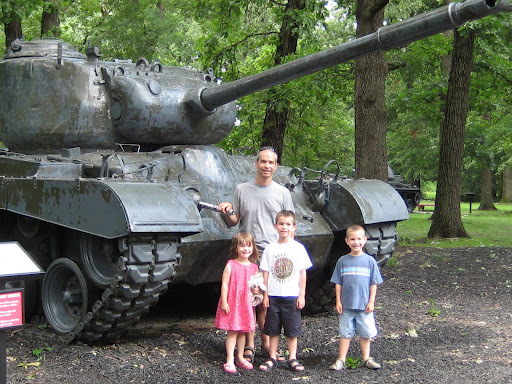 Some of our other favorite adventures are The Brookfield Zoo, Pirate’s Cove, the Riverwalk and visiting the restored tanks and war museum at Cantigny. We also love our bike rides from Hidden Lakes Historic Trout Farm to visit several parks along the bike path and then back. You might not have realized this, but the nature trail behind the trout farm is actually another planet. You have to be very quiet so you don’t scare Yoda, who lives in the swamp there. It might seem kind of boring, unless you have read Mystery Island in The Boxcar Children book series. Then you will realize, it is the same cave where a Native American was hiding in the book! 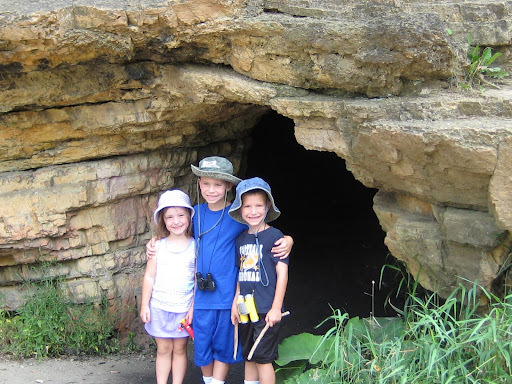 Actually, the cave does have a similar history and you can learn all about it in the nature center. I thought the nature center was pretty dumpy and boring, but NOT the kids! It has a whole display of types of poop of various animals, not to mention a room with mirrors that make you look like you are shrinking. The kids also can use animal puppets to put on a show. Seriously? What could be better?? 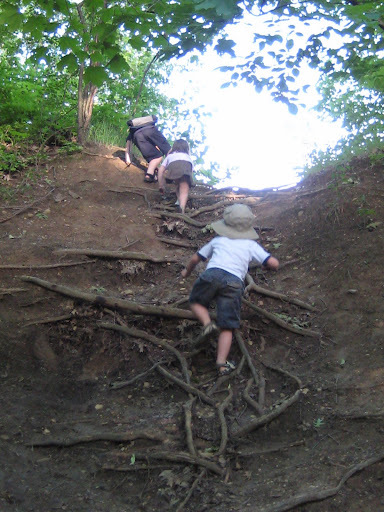 Another place we visit several times each summer is Waterfall Glen Forest Preserve. We hang out by the waterfall and eat our lunch, then we head out to the little hiking trails. 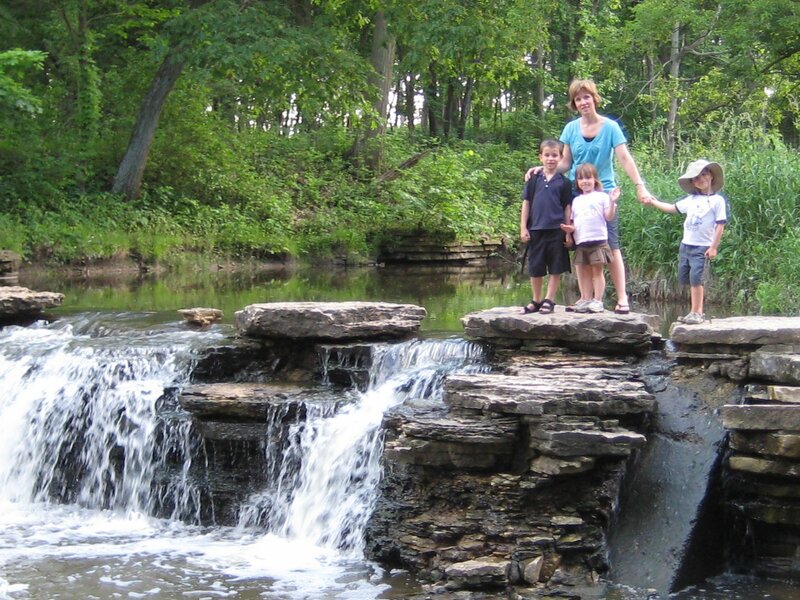 Waterfall Glen is also an excellent place to bike, if you and your kids can handle a hilly ride that’s about 11 miles long. We can’t wait until our kids are ready for that day! 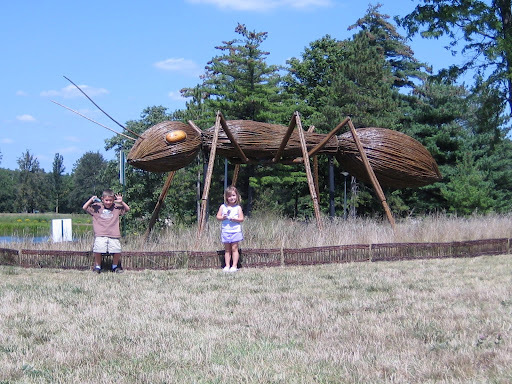 Other stops on our list include Starved Rock State Park, Klein Creek Farm and Naper Settlement. 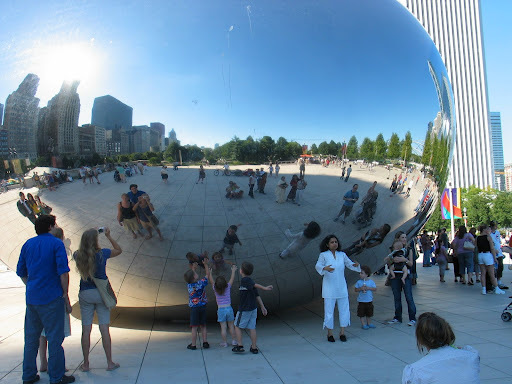 Oh, and then there’s downtown Chicago, which would take up several more posts. We actually don’t get into the city much since we have so much fun out in the ‘burbs, and it’s a little easier to navigate out here. But we do like taking our bikes downtown and exploring the city that way. It can be a little treacherous, but it’s a fun way to see the sights. 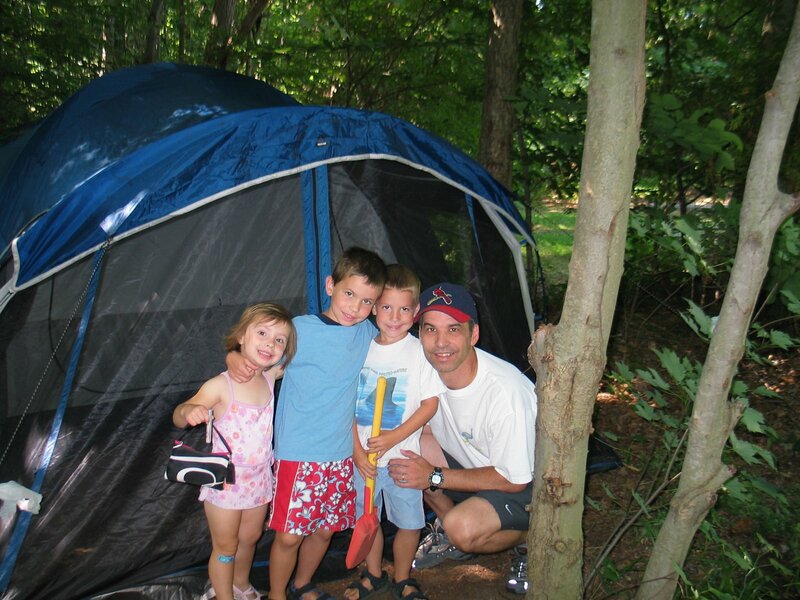 Finally, summer wouldn’t be complete without at least a few camping trips. We’re planning one longer trip to Michigan this year. But I’m hoping we also can find time to camp at Starved Rock and St. Joseph, Michigan. 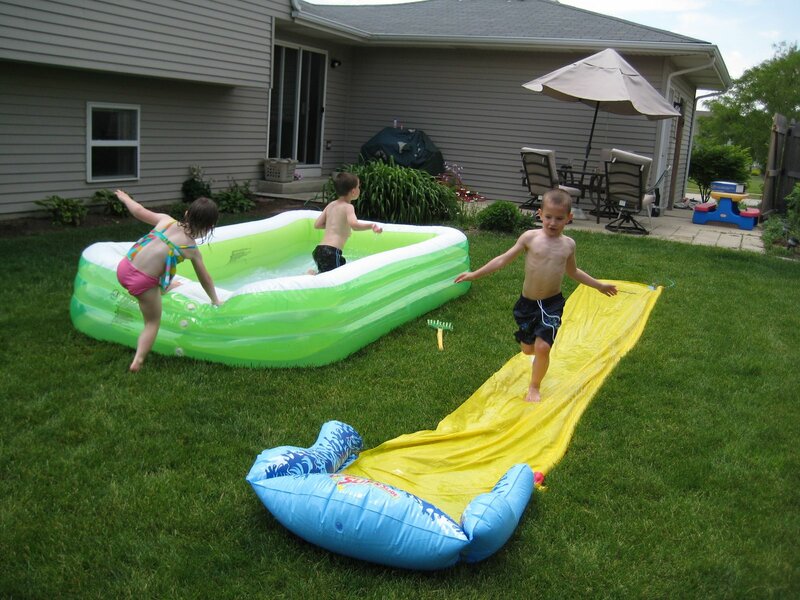 The campground where we usually stay is completely kid-friendly with a pool, playground and bouncing pillow. And it’s about 10 miles from the beach. If you like camping, let us know! It’s always more fun to go with friends! We aren’t doing a big vacation this year, but we will be spending some time with family in Indiana and making a stop at Holiday World. If you haven’t been there, it’s a fun get-away and worth the drive! 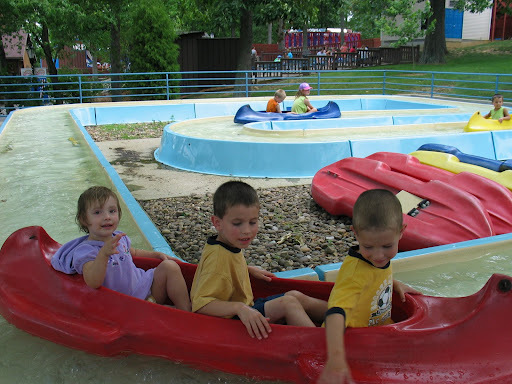 The amusement park is SUPER kid friendly and has rides for every age from 1-year-olds on up! So what are your favorite places to visit in the summer? Have I forgotten anything that is a MUST!? Oh… back to reality. It’s a cold, rainy day here, but it’s summer in my heart! Previous Post Previous post: heian sho-dan! Wow! You have some great places to visit and fun fun times ahead! I can’t wait to get a regular update as they happen this year! Wow, Emily. What great ideas! I hope we can do some of them together! have been to the Peggy Notebart museum downtown? I love it! 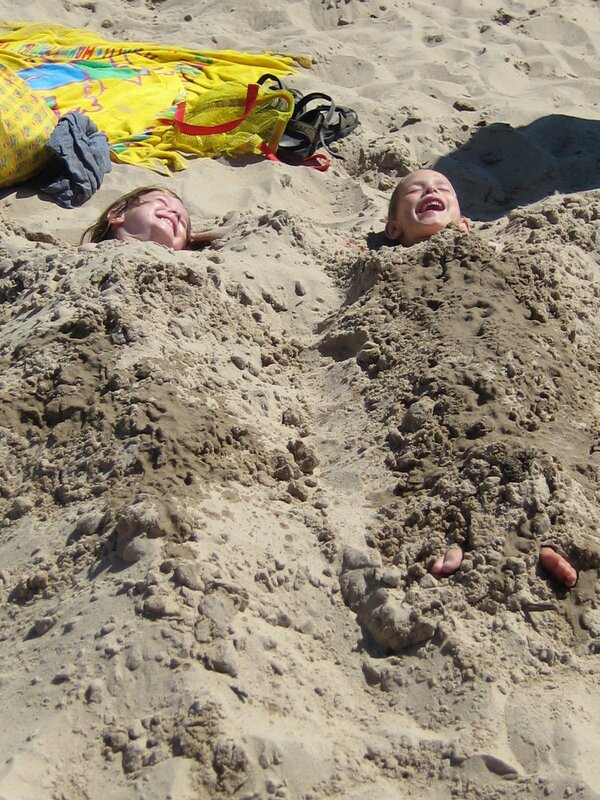 The kids I babysat for in Chicago loved it.